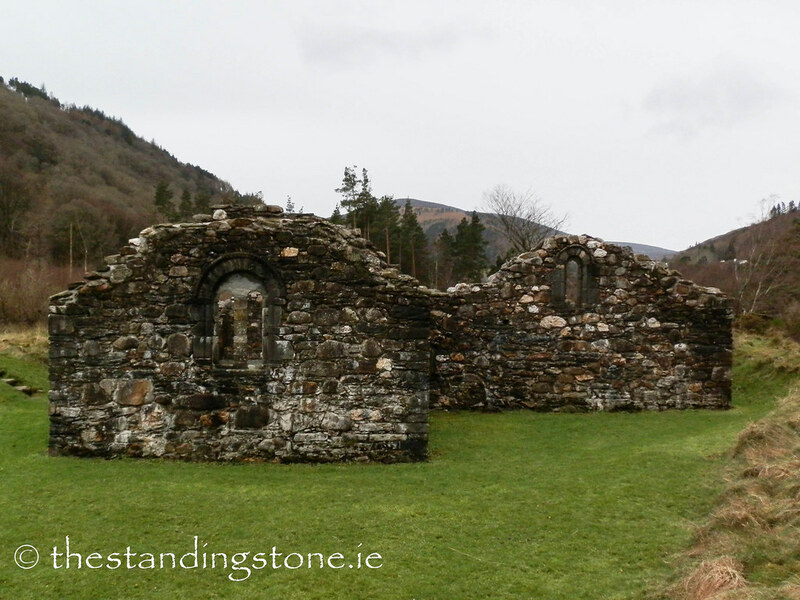 The Standing Stone: St. Saviour’s Priory, Glendalough, Co. Wicklow. 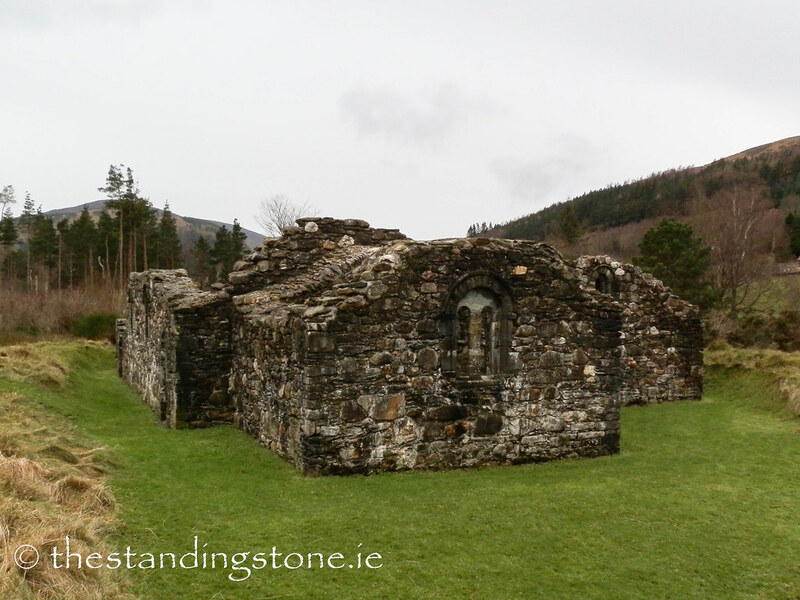 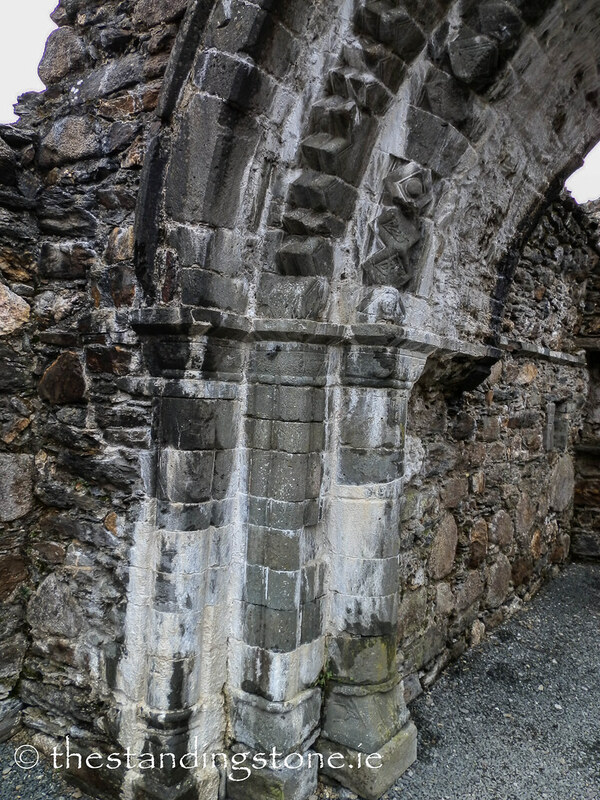 St. Saviour’s Priory, Glendalough, Co. Wicklow. 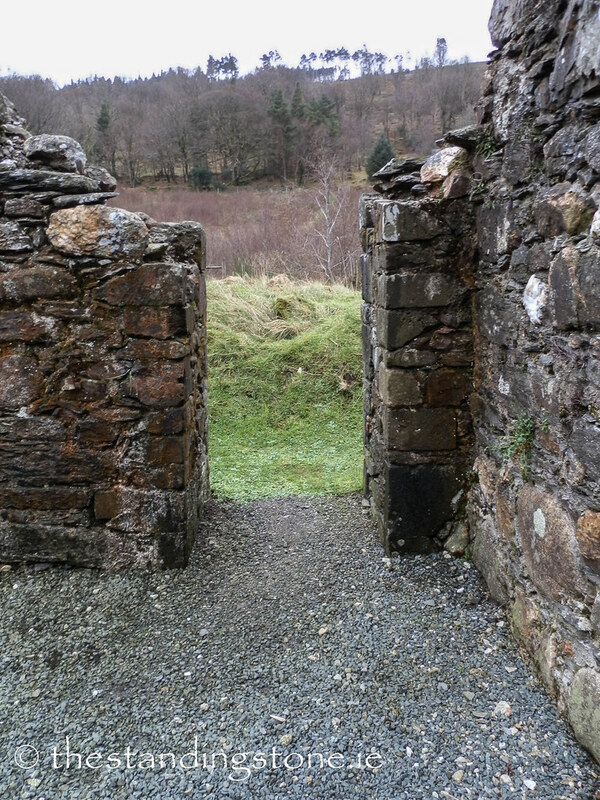 Location – This is quite a distance away from the main complex to the East and you must walk through a patch of forest to get to it. 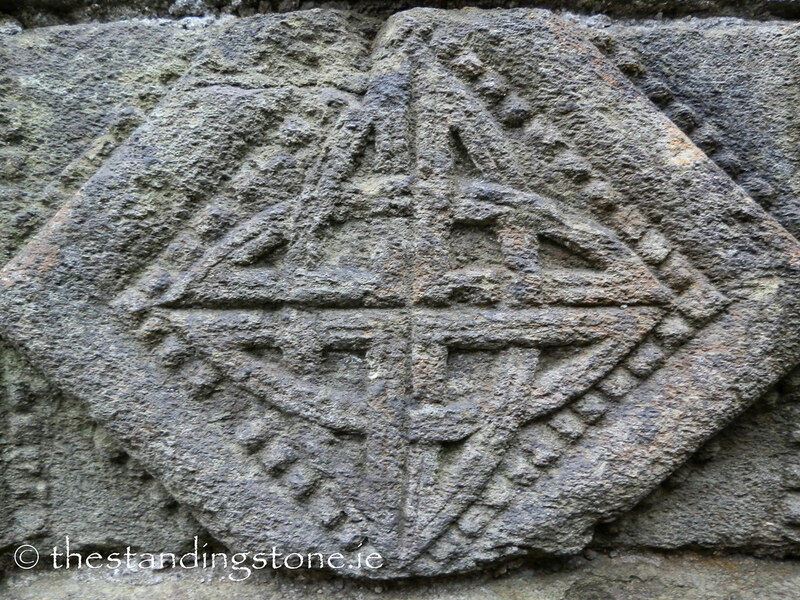 From St. Kevin’s church, follow the path to the left. 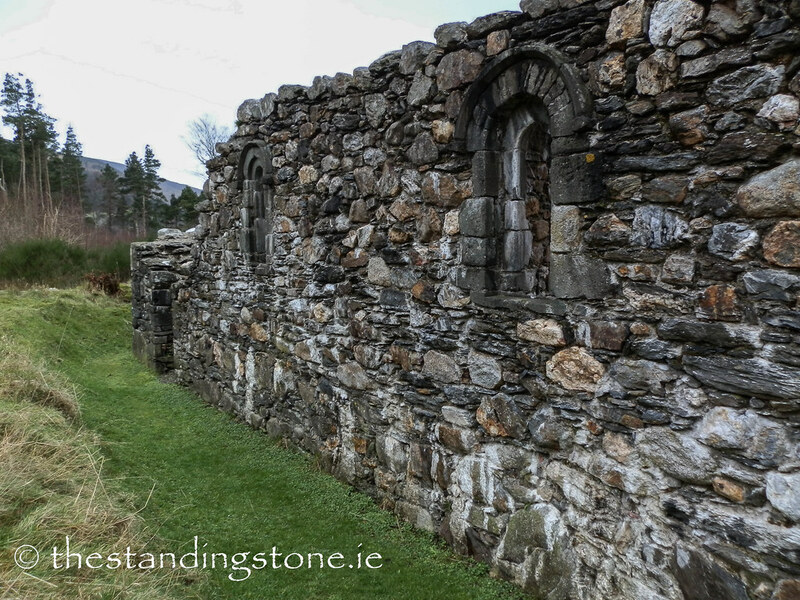 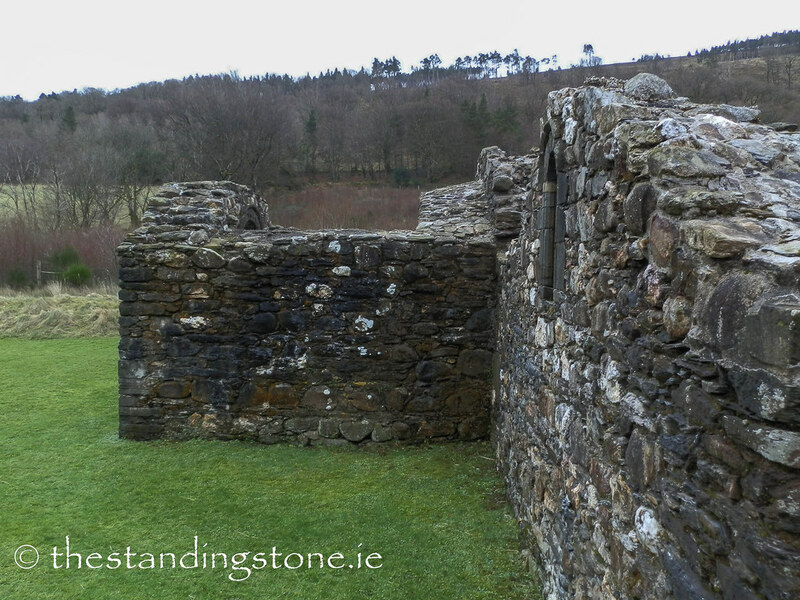 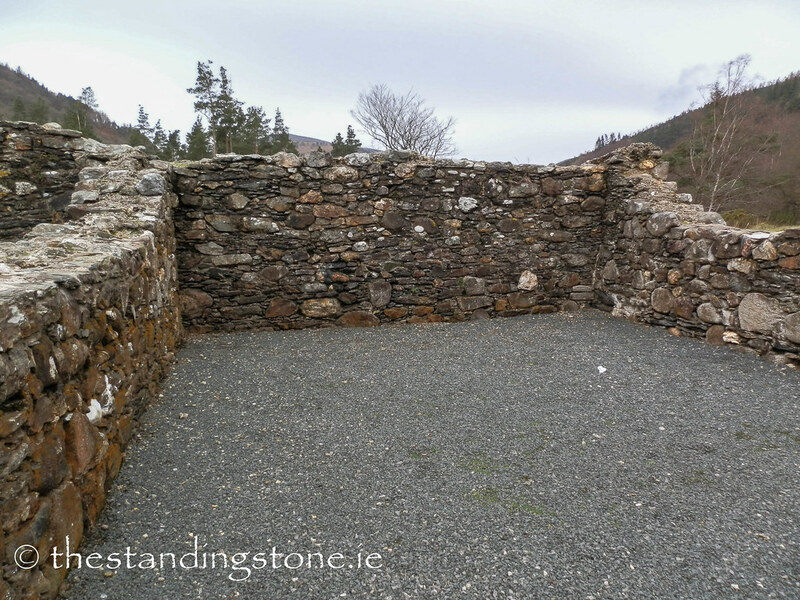 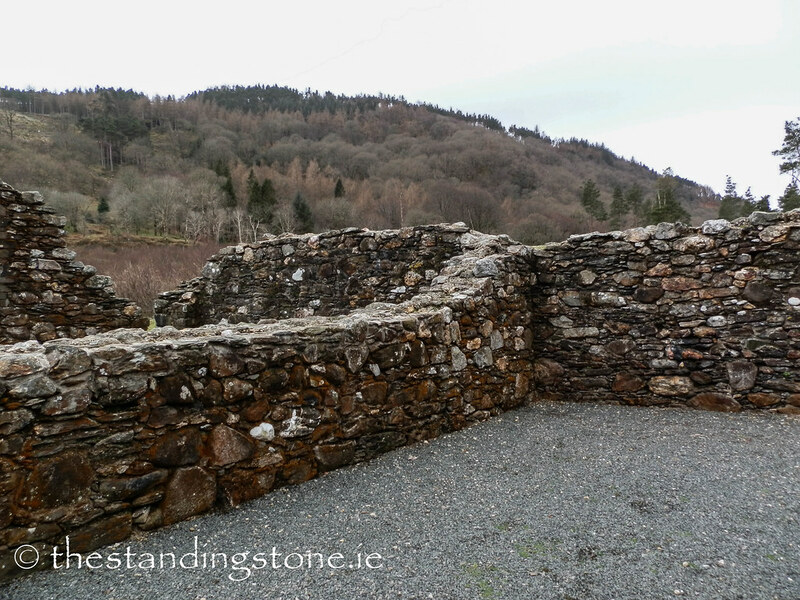 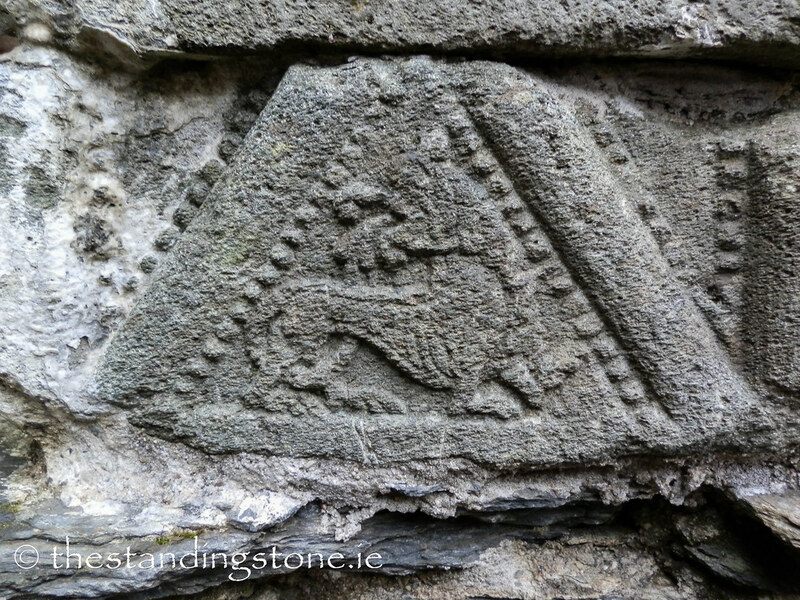 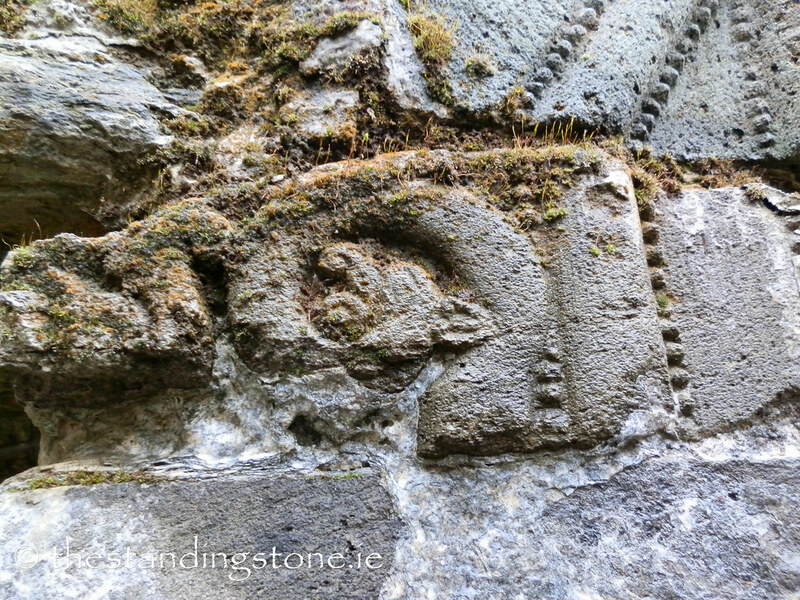 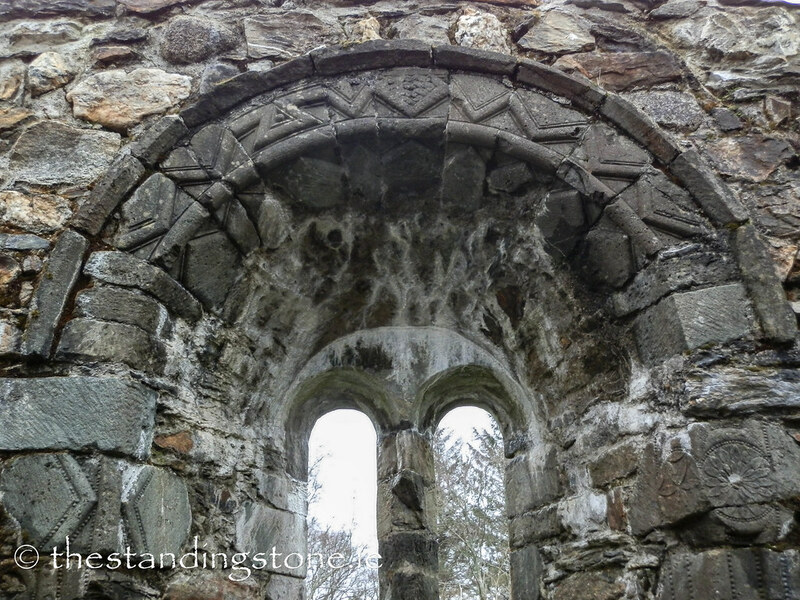 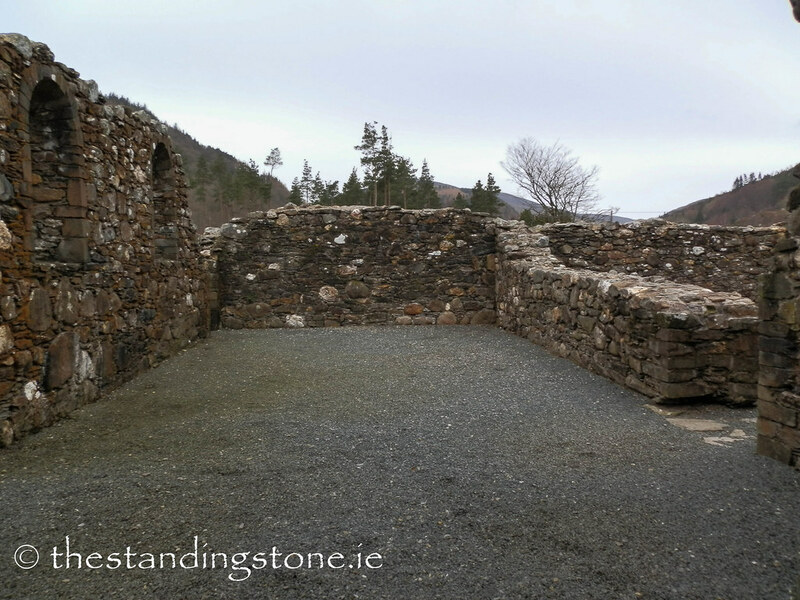 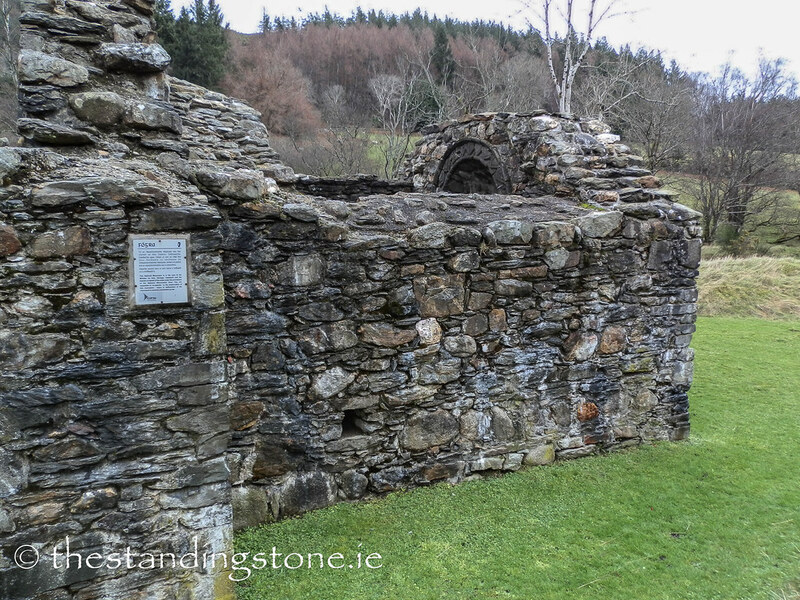 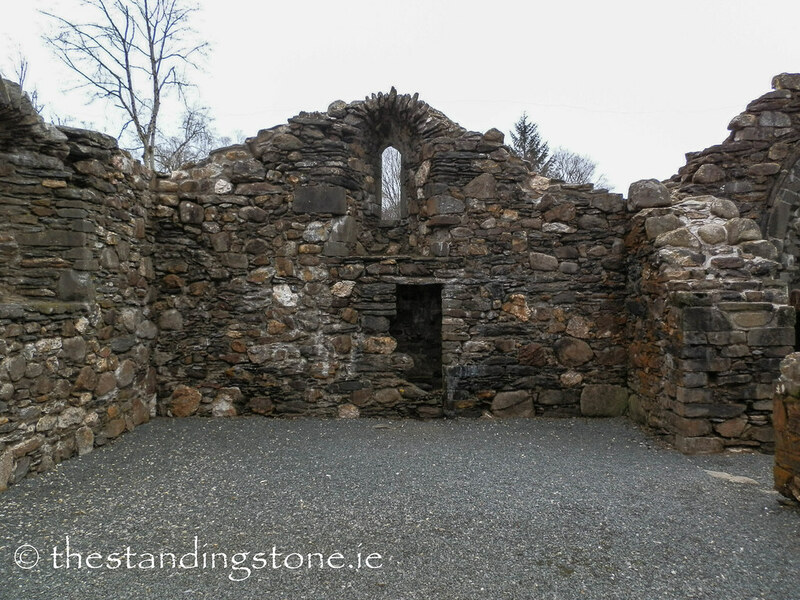 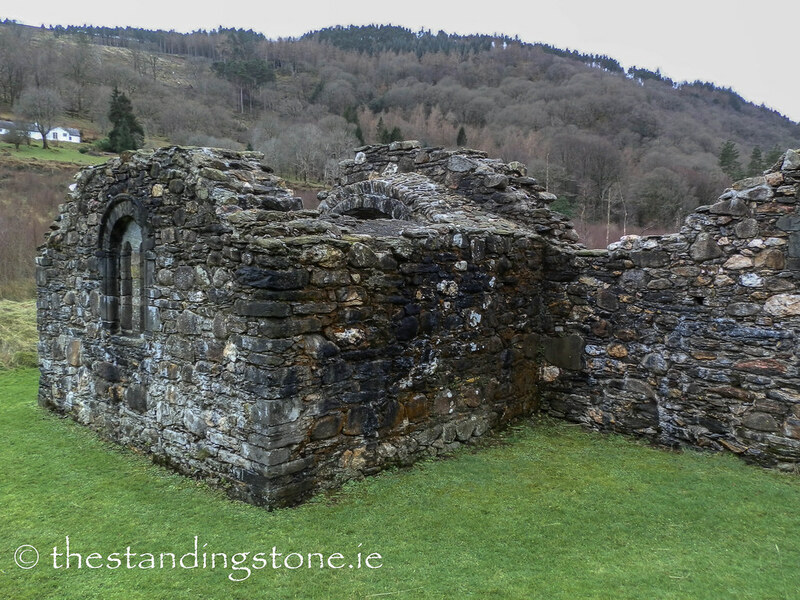 Description and History – For me this is the highlight of Glendalough. 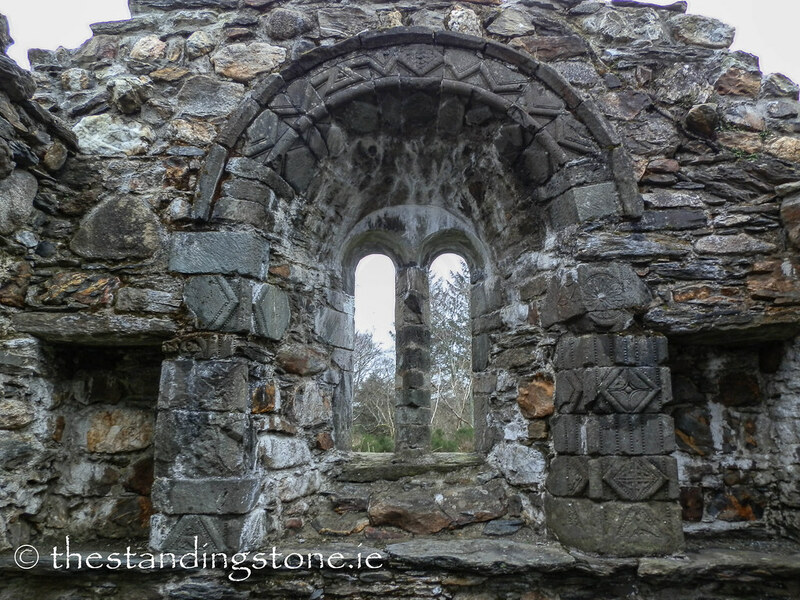 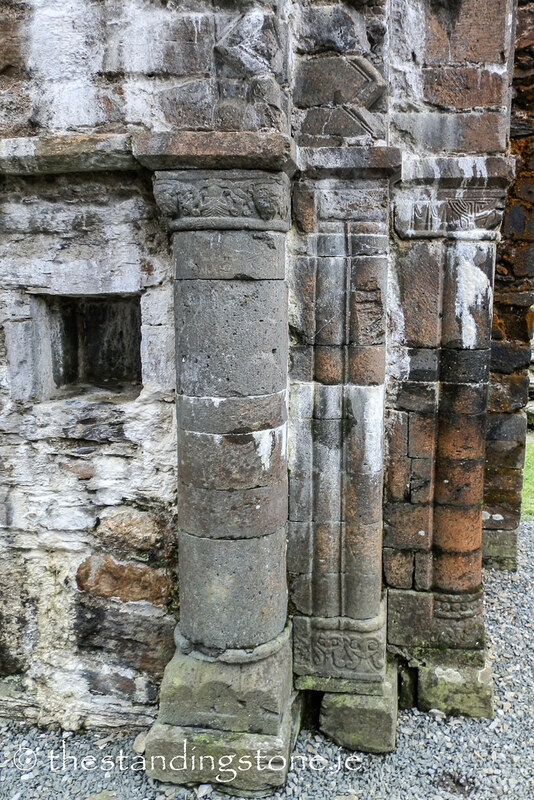 In a way it reminds me of the Nun’s church in Clonmacnoise – the best is always hidden away. 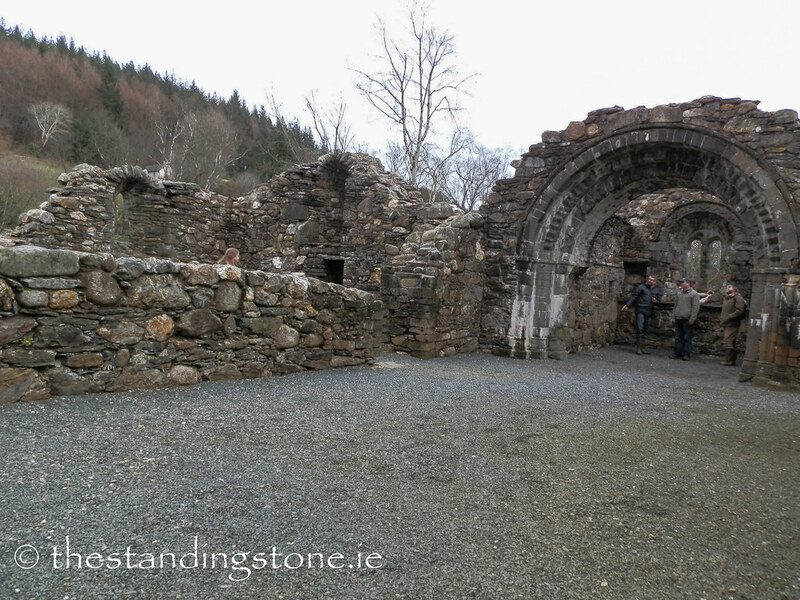 This was an Augustinian priory built when Lawrence O’Toole was abbot from 1153-1162. 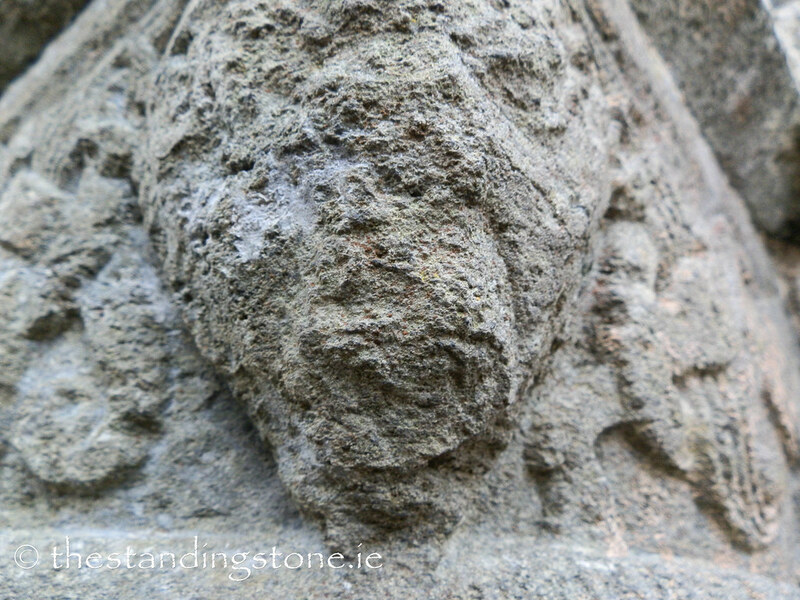 This Romanesque church is full of fantastic and beautiful carvings. 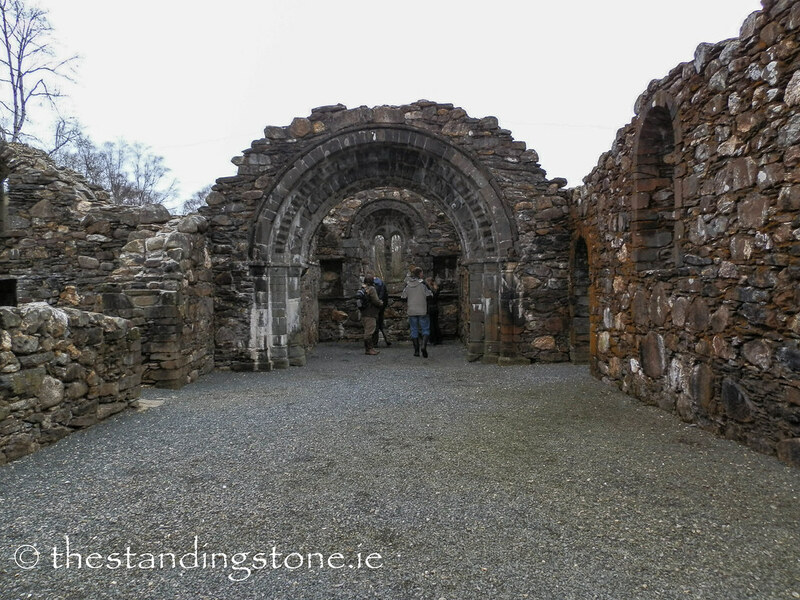 However, the church had largely collapsed and was restored in the 19th century, but not very well. 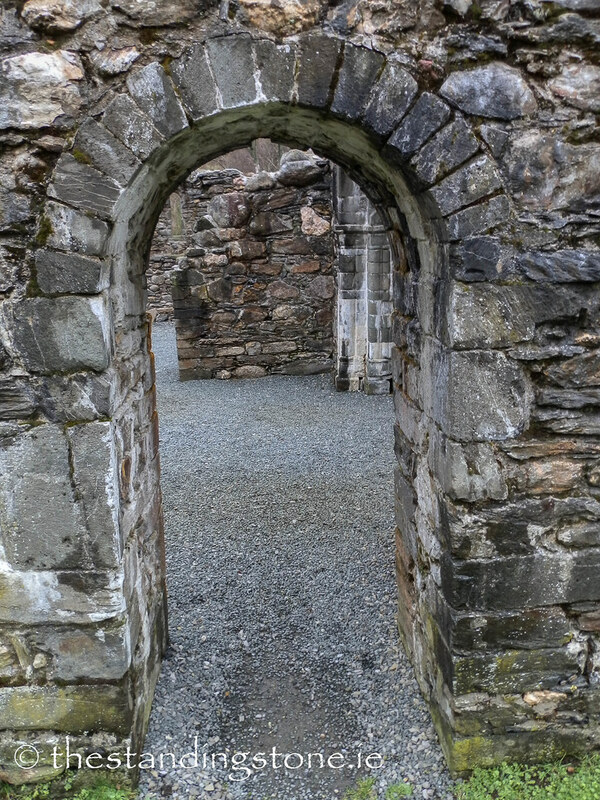 The arches have been reconstructed using original stone, but with little thought as to the order they should be in. 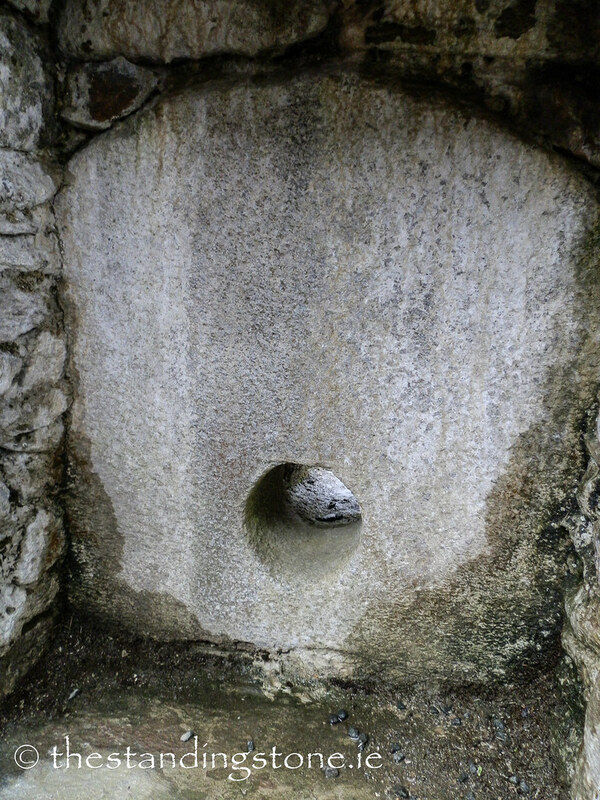 This has resulted in random stones being placed one on top of the other so that you are left with little sense as to how they should fit together. 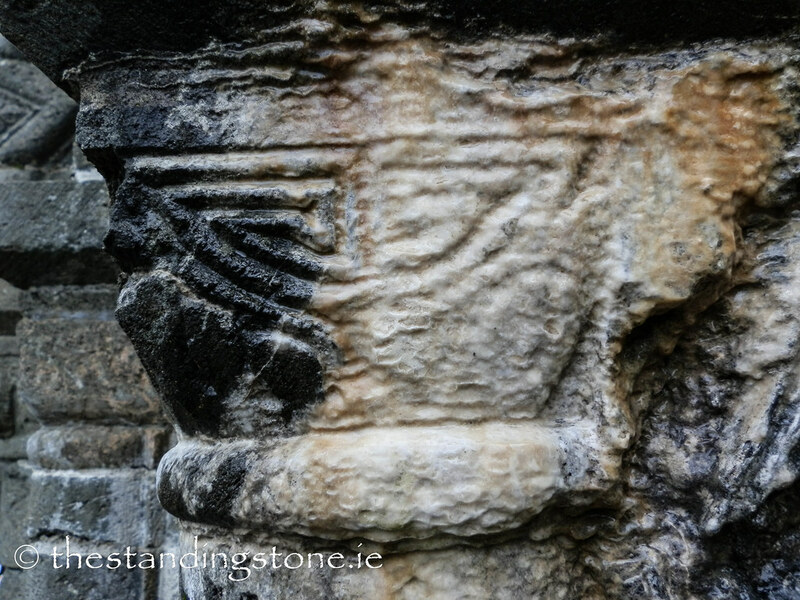 Nevertheless, the carvings are fantastic to look at and show various animal and floral designs. 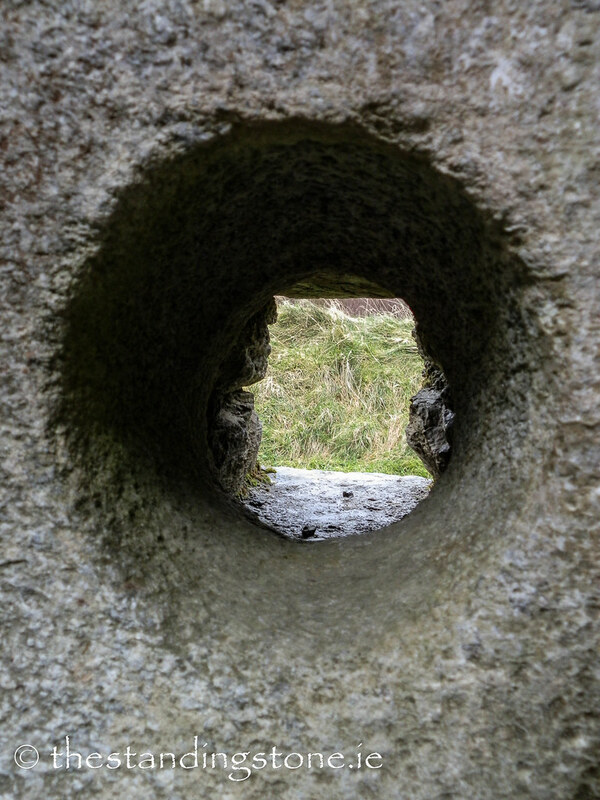 It is well worth the long walk to get to it. 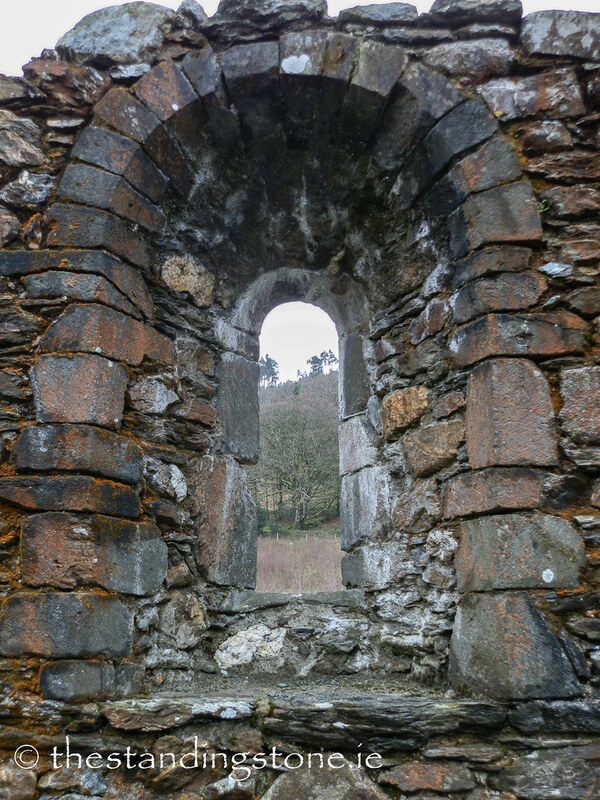 Difficulty – It’s off the beaten track and takes a lot of walking to get to, plus a ramble through the trees which isn’t too easy for anyone with mobility issues. 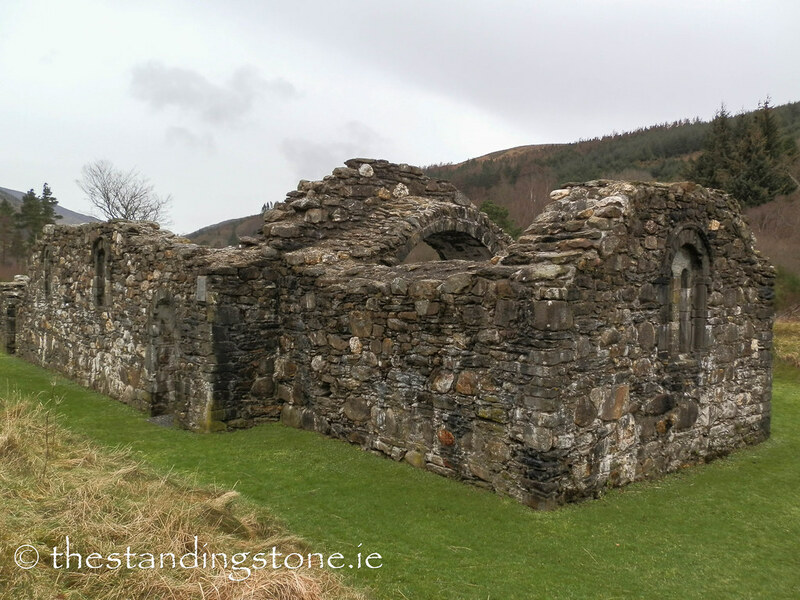 It's hard to get shots at Glendalough without people. 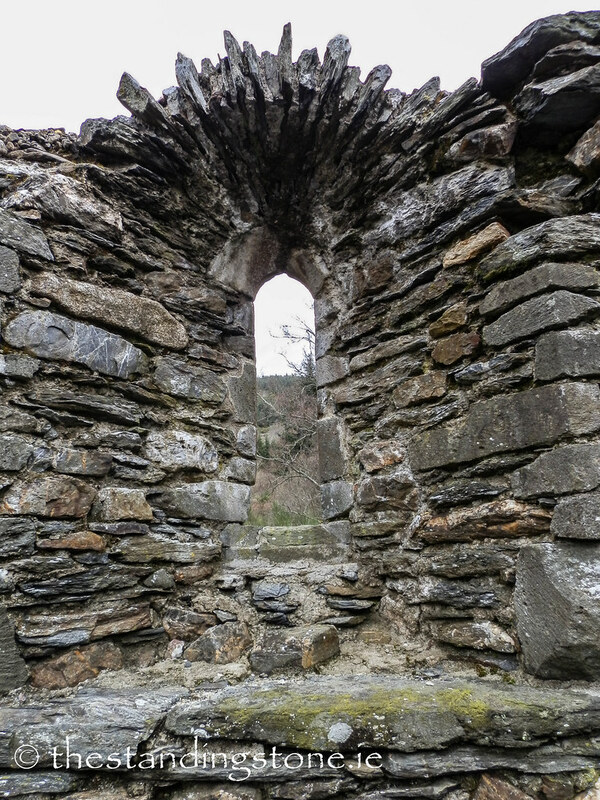 It's always packed. 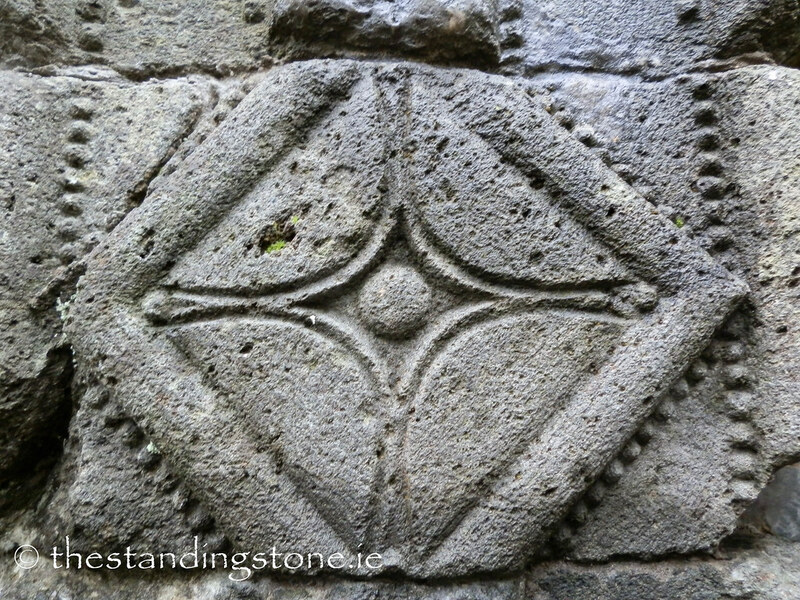 Interesting stone. 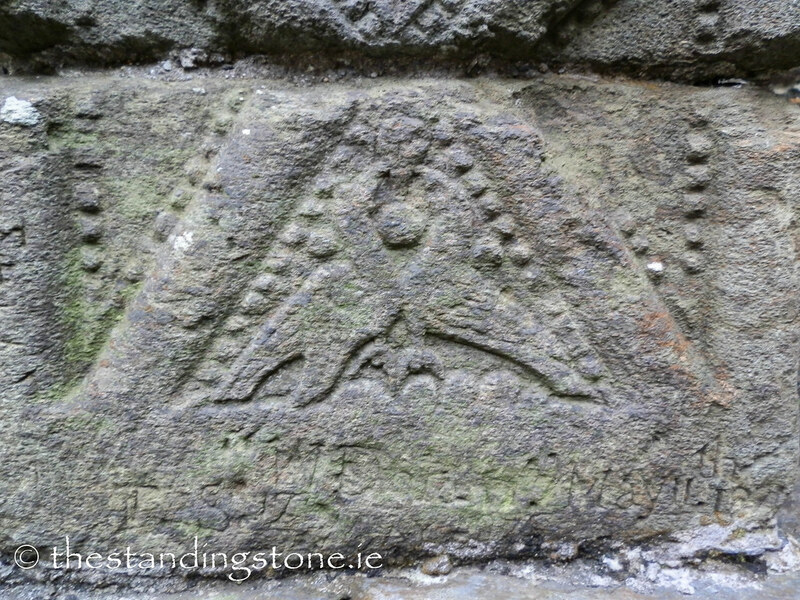 Surely of some significance. 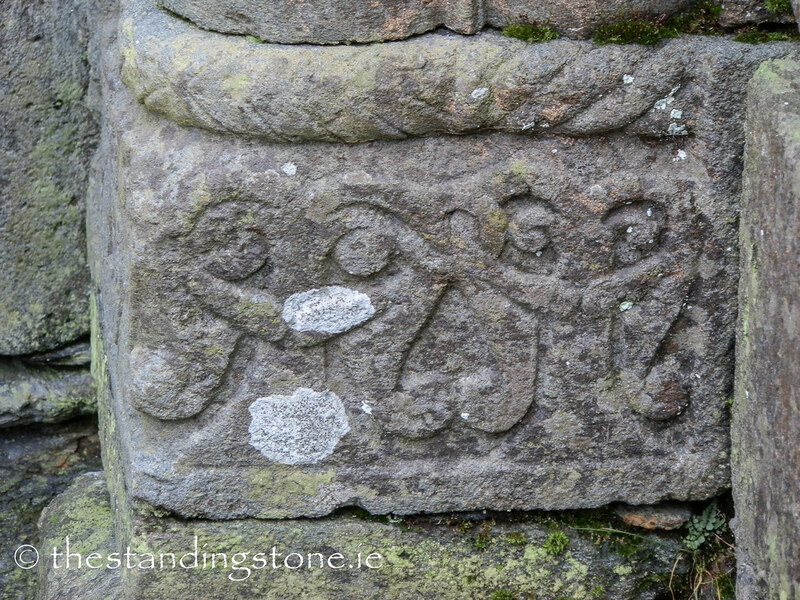 It reminds me of a stone for sealing contracts by shaking hand through it. 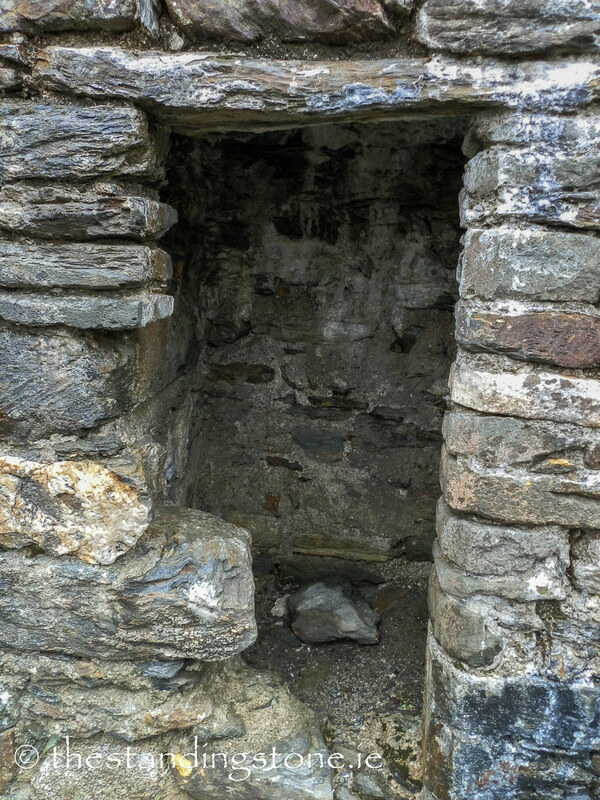 Maybe it had another use. 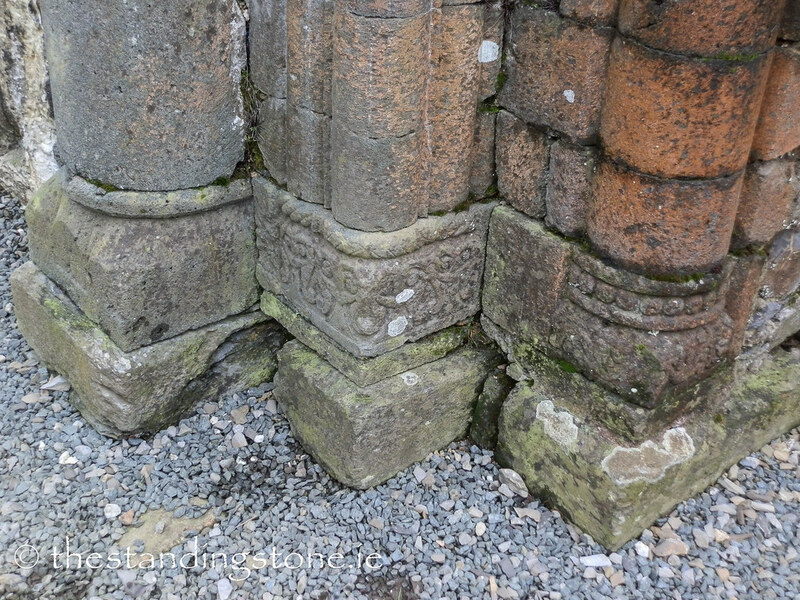 Beautiful carvings but in completely the wrong order. 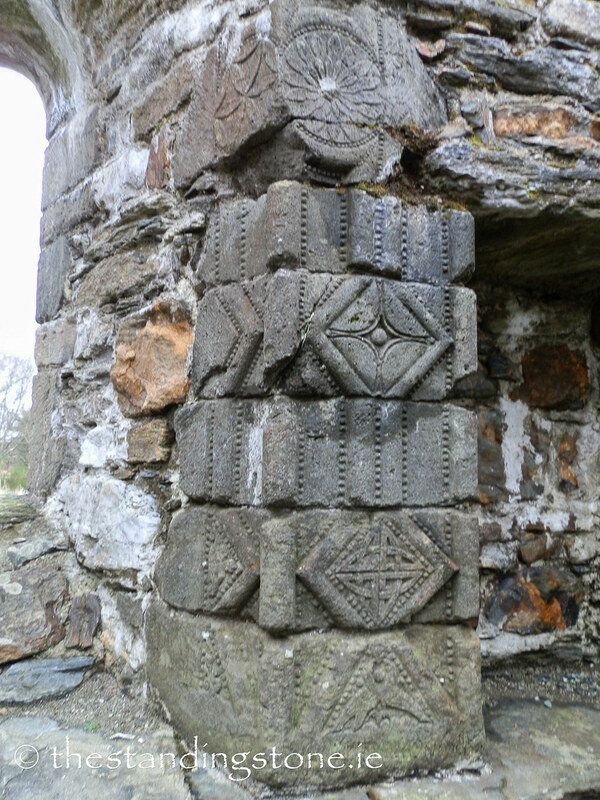 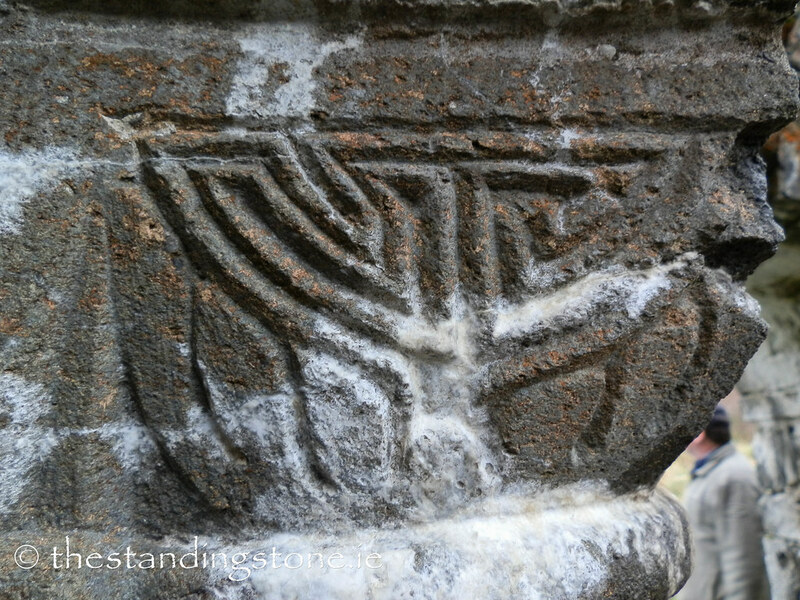 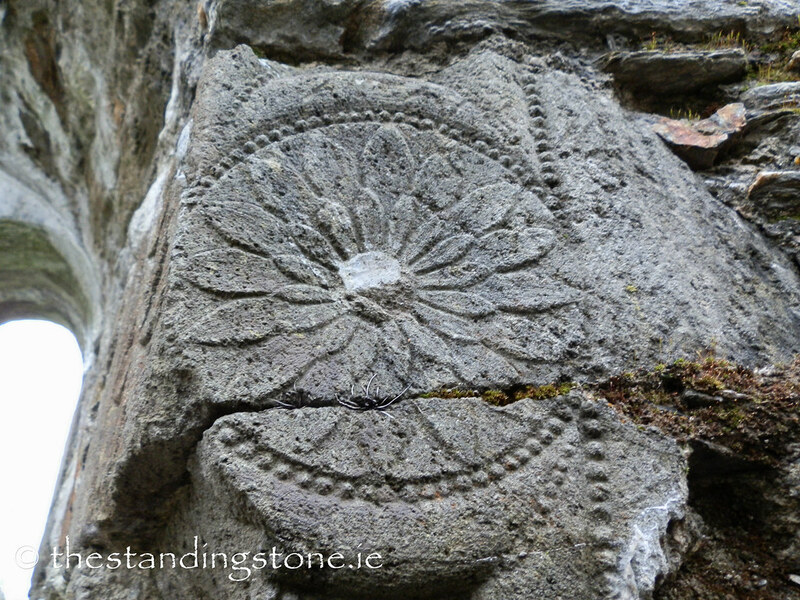 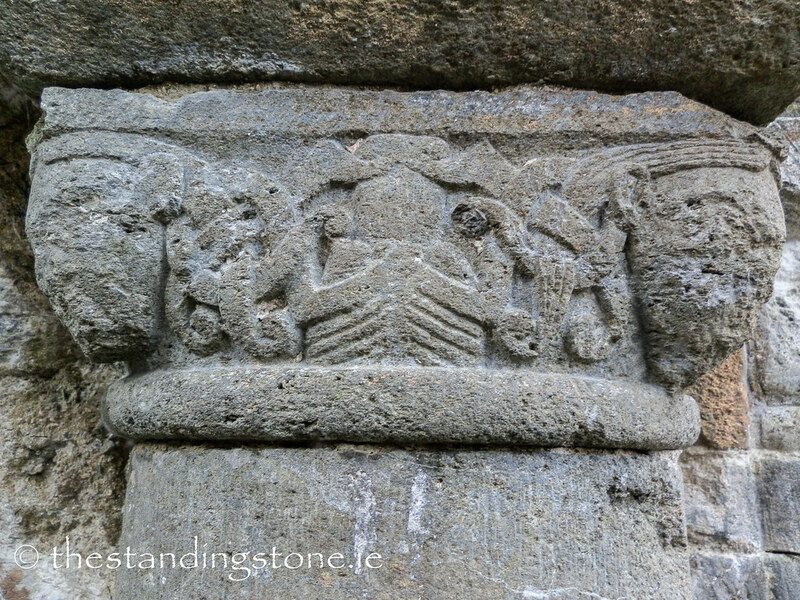 You can see some more modern carvings at the bottom. 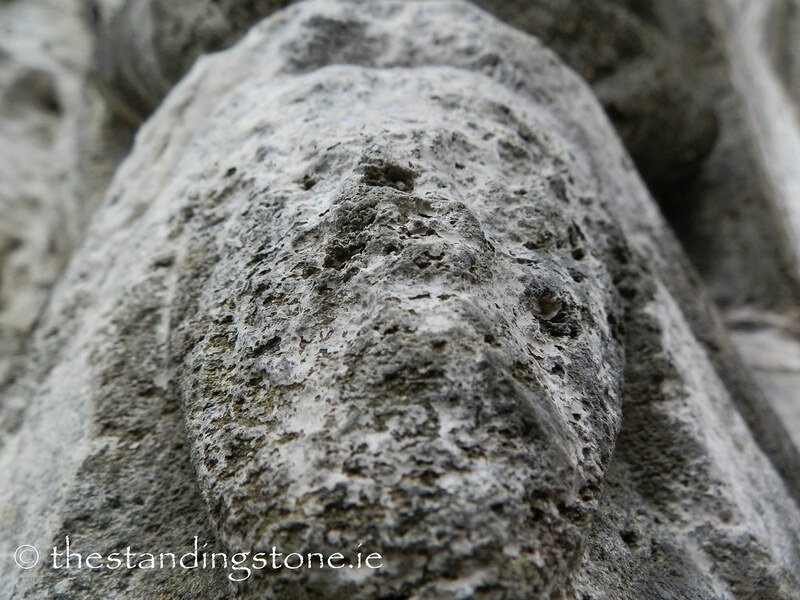 The calcite like build up on some of the stones is the result of using improper materials during restoration. 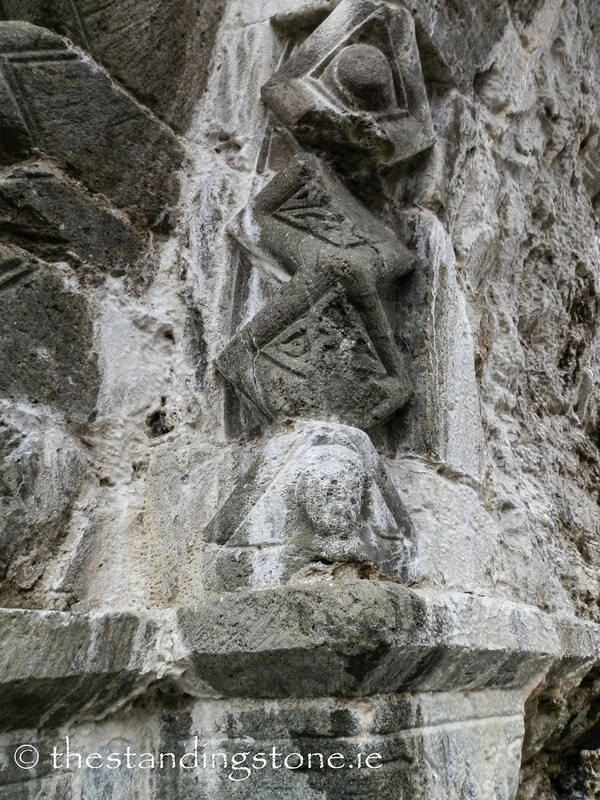 Two faces, and their hair seems to be intertwined with the arms of a skeletal figure.